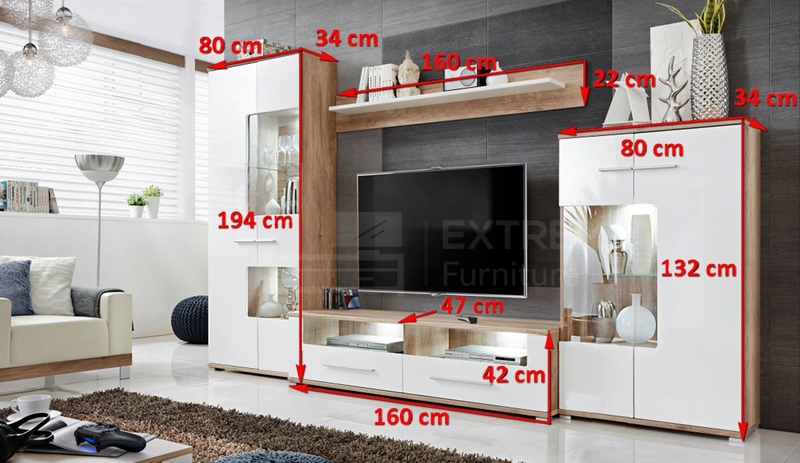 'Saala 3' is unique furniture set. 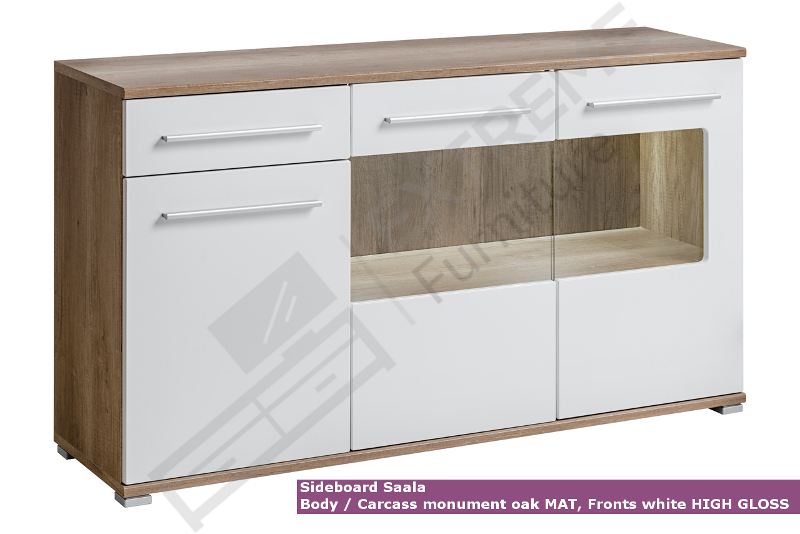 In the bottom is floor cabinet with 2 open compartments with perfect space for your TV equipment and 2 drawers. Furthermore in this combo you will have: 1 medium standing display cabinet, 1 tall standing display cabinet, 1 shelf. Everything in beautiful colour!